Tapioca is the name of the white starch extracted from the Cassava plant. 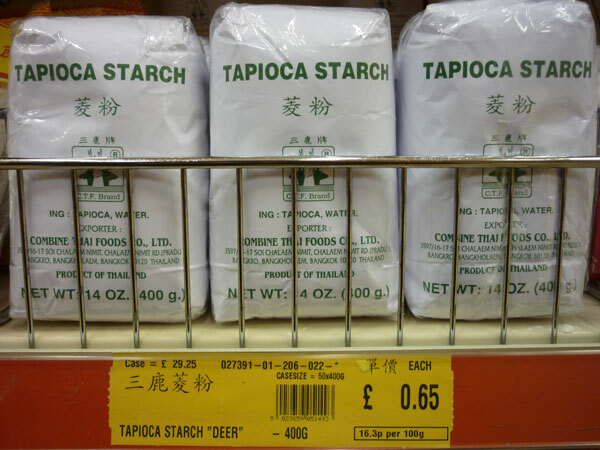 Tapioca generally refers to the white starch extracted from the cassava root. 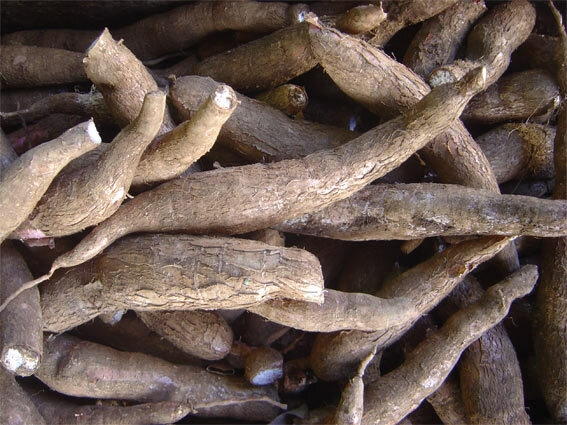 Cassava can be seen growing around the world in massive fields such is the popularity of this root crop. Traditionally Cassava was grown in Brazil by the native population. Today it is the third most produced crop for its high carbohydrate content and ability to grow in extreme climates, able to deal with the high heat of the tropics. Despite being so high in energy from carbohydrates it contains almost no vitamins or protein, while being gluten free. A unique set of characteristics for an ingredient. Being a carbohydrate means it is a central part of a dish where it is consumed. 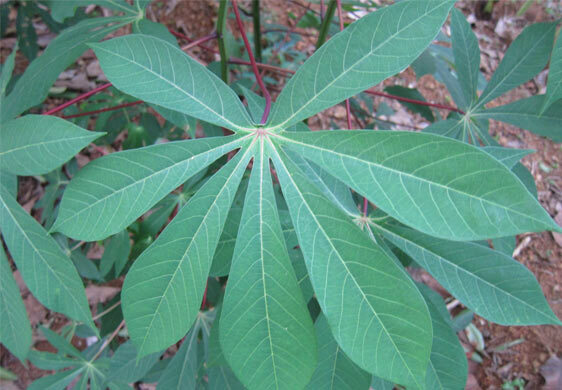 In Africa Cassava root is sometimes boiled and fried so they become similar to potato chips. However Cassava flour is the most popular way to prepare and eat Cassava as it can then be turned into a kind of porridge or bread. Cassava flour is the boiled and pounded root. It turns into a thick liquid that is wrung to remove the water, while keeping the fibres of the plant when it is dried. 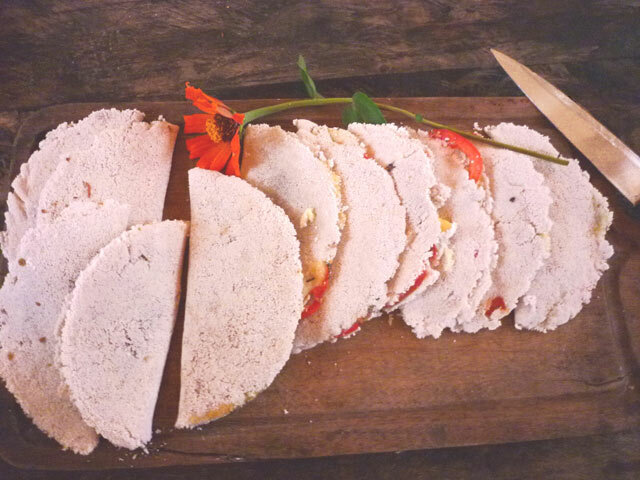 This gives it more substance and makes Cassava flour a filling meal whatever it is turned into. 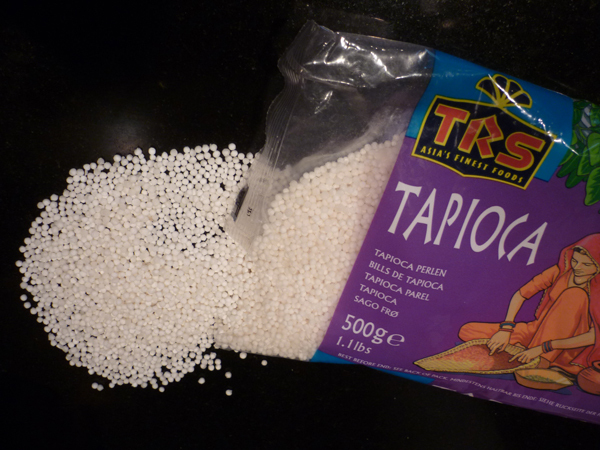 Tapioca on the other hand is actually a by product of Cassava flour as it is the water that is removed from the flour. The starchy liquid is left to dry until it forms a fine white powder that looks like corn flour. In turn other products like tapioca pearls, flakes and beads are produced for different purposes. The well known English tapioca pudding uses the pearls (below). In its own right tapioca really has no flavour and turns into a jelly consistency that has been known to be used as a glue! Although this is certainly not a traditional use. As it is so starchy it can be used as an effective binding agent in many dishes. It is feasible to be used in burgers instead of egg and as a thickening agent to replace the wheat-based corn flour. Our favourite use and dish from tapioca locally known as Mandioca in Brazil was the Biju. Indeed this snack is a firm favourite in Brazil, especially in the north-eastern states where the African influence is more prominent. The starch is mixed with a little water before being sieved into a frying pan until it forms a thin layer of the starch. This glues itself together to form a thin tapioca pancake. Cheese, tomato, herbs and ham is added as a filling. Tapioca’s slightly fermented taste gives these pancakes a new savoury dimension that is really delicious.